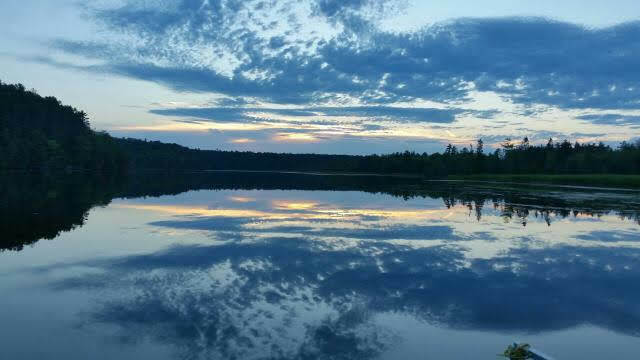 A memorable getaway to the Huron National Forest. Your rustic Au Sable river resort cabin. Days spent canoeing and exploring. Campfire nights. You’ll want to enjoy the Rollway Resort experience again… and again. 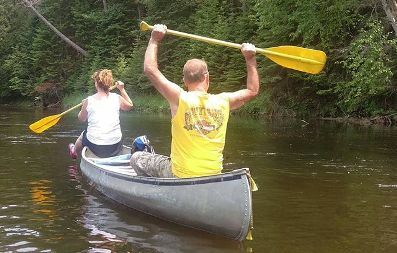 Canoe, kayak or tube down the famous AuSable River surrounded by the natural beauty of the Huron National Forest. Our section of the river runs from Alcona Dam to our dock at Rollway Resort with landings in between. Depending on which trip you take, they include Thompson and Bobcat landings. We transport you and your canoes or kayaks up stream and you travel downstream to our dock. 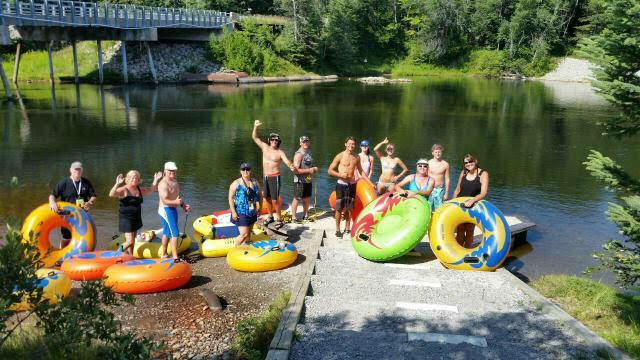 For our tubing trips, however, resort staff will pick you up at a designated time and place. When you reach Rollway Resort’s dock, secure your watercraft to the dock, bring your paddles, life preserves, and gear up the high banks, a trek that includes 226 steps with scenic overlook areas. Walk straight through the Forest Service day area and across the road back to our resort. 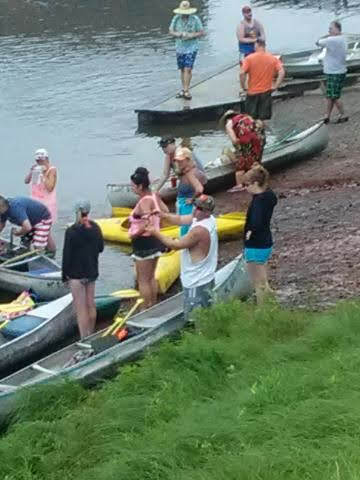 Return all paddles and life preservers to our Paddles and Cushions building. Leave nothing behind on the river, or the dock. Heed the Huron National Forest motto, “Pack it in; Pack it out.” Trash bags provided on request. The AuSable River flows easterly through the Huron National Forest, emptying into Lake Huron. Rollway Resort sits between Alcona Dam and Loud Dam, which mark the furthest beginning and ending on our daily river trips. The forest and riverside remains totally unspoiled through this section. Fall colors offer breathtaking scenery; quite the canoeing or kayaking experience. And the fish… Brown Trout, Rainbow Trout, Walleye, Pike and Bass abound. You’ll find some of the best fishing around at Rollway Resort. The Huron National Forest is amazing and immense. It’s 415, 000 acres gives you plenty of room to roam and discover all the wildlife native to Northern Michigan. It contains a 220 mile shore to shore trail that crosses the state, stretching from Lake Huron to Lake Michigan. This makes the area ideal for hiking, skiing, horseback riding, snowmobiling, and hunting. Or just plain relaxing – it’s the perfect place for absorbing some serenity. Hang your hat, stow your gear, and relax. 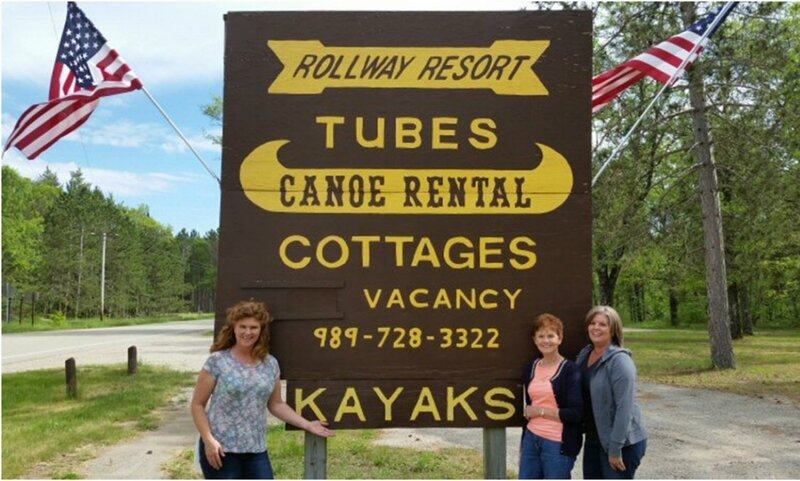 Rollway Resort’s rustic cabins offer you a great place to stay really close to the river. Kick back, canoe awhile, snag a few fish, grill up dinner, and unwind around a fire under the stars. 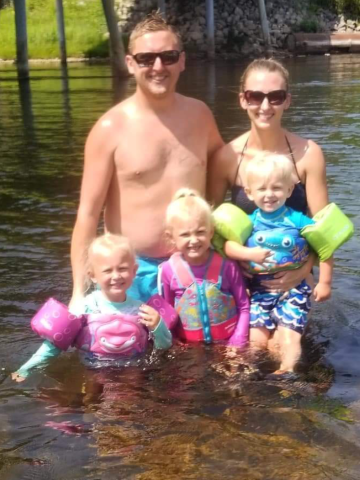 Quality family time; good times with friends… that’s what Up North is all about! We are open through bow and rifle deer seasons. You’ll be right where the action is. The national forest is home to thousands of white tail deer, plenty of bucks and does whose diet is largely natural vegetation. Hunting ducks, rabbits, squirrel, or some other wildlife? Rollway is popular with hunters of all sorts, and the forest is well stocked with whatever’s in season. And the ORV trail runs right through the resort. 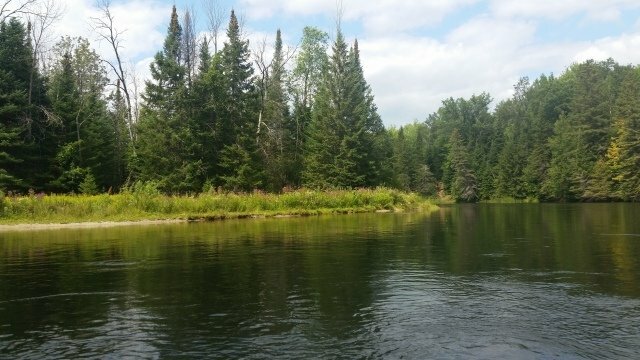 Welcome to lodging close to some of the best fly fishing action for trout in Michigan. Need A Place To Camp? You won’t have to go far. The Huron National Forest Rollways Campground and U.S. Forest Service Day Use Area is right across the road from our resort. 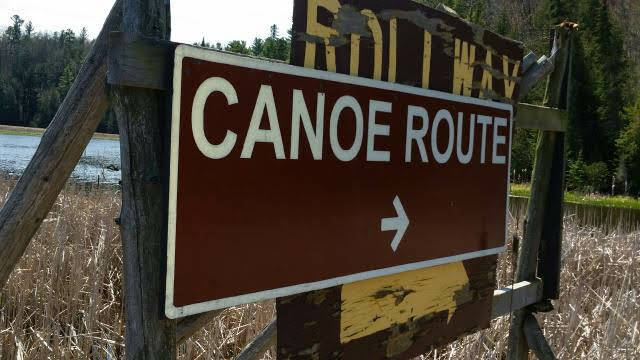 It’s a short walk to your canoe, kayak, or tubing trip bus. 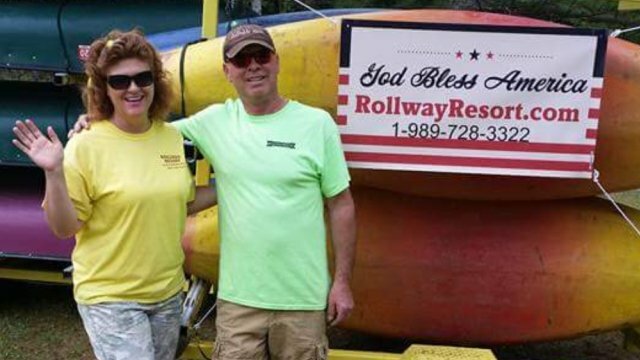 Summer fun at Rollway Resort delights all ages. 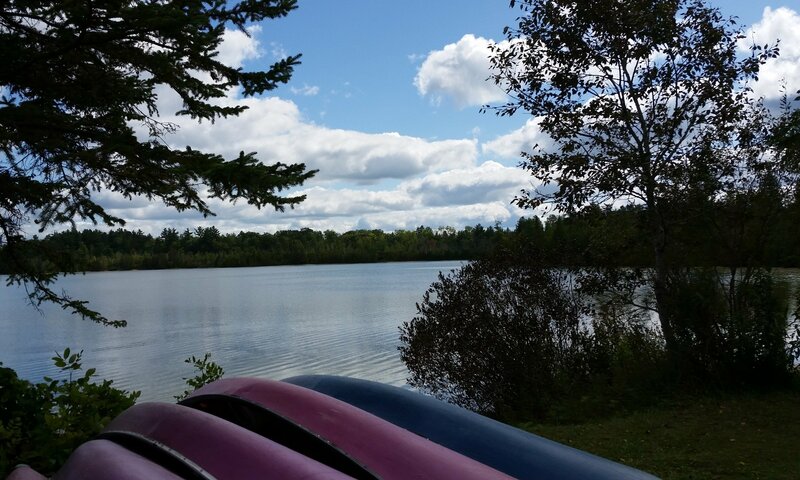 Our Au Sable River resort is the perfect fit for family vacations or a weekend getaway with friends. Some of our guests come for a few hours; perhaps the day. Some camp across the road and enjoy our watercraft on the river throughout their stay. Others rent a cabin and remain for the weekend; sometimes a week. 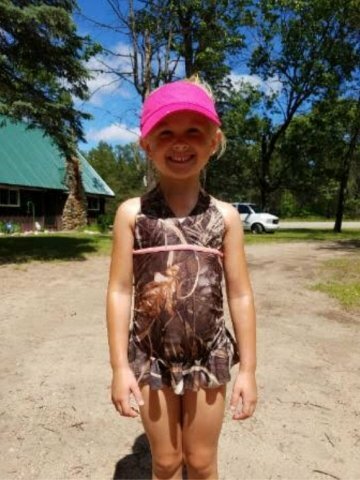 And still others staying in the area rent watercraft, including pontoons and and paddle boards, for use on one of the Rifle River Recreation Area’s lakes. Your hosts, James and Lenae’ Pinnick, welcome you. Rollway Resort is a permittee of the Huron National Forest. Rollway Resort and the Huron National Forest are multicultural organizations and committed to the goal of ensuring equal opportunity for all in employment and program delivery.